Just about everyone loves cats, and that's why there are millions of funny cat videos on the internet. The same is true for dogs, especially for golden retrievers, and the main question is "who would win this competition"? Who is more epic – fluffy cats or goofy dogs? Well, why not get both in one video and watch the outcome? 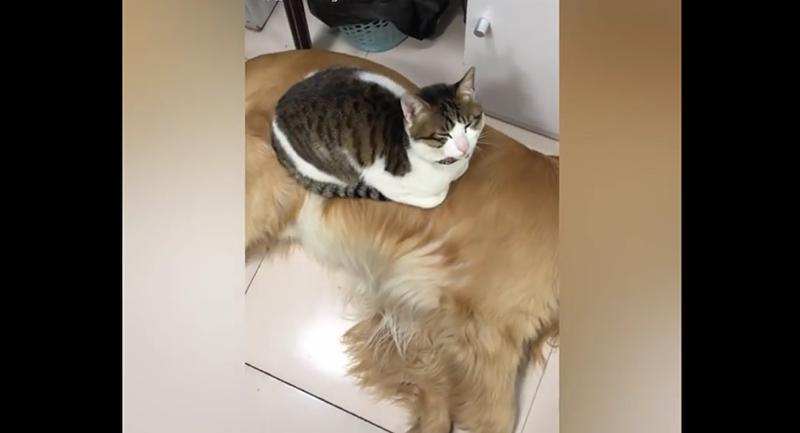 This cat is so scary that the golden retrievers are eager to obey it… Or, maybe, they are just too lazy to chase off their feline friend.